Home » Cancer » Is Your Shampoo Giving You Cancer? Is Your Shampoo Giving You Cancer? Is your shampoo increasing your cancer risk? 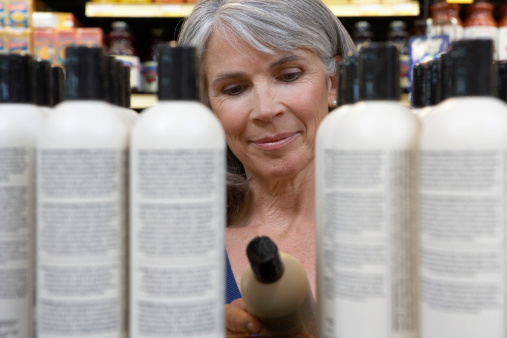 According to a study by the Center for Environmental Health (CEH), up to 98 personal care items, including soaps and shampoos, sold by retailers across the U.S. could be posing a threat to your health and increasing your cancer risk. The products, tested by the CEH at an independent lab, were found to contain a toxin called cocamide diethanolamine (cocamide DEA), a form of chemically modified coconut oil that’s often used as a foaming and thickening ingredient in different personal care products. The products that contained over 10,000 parts per million (ppm) of the chemicals were deemed too dangerous for use. Shampoos manufactured by Colomer, Colgate Palmolive, and Paul Mitchell, among others, all tested positive for high levels of cocamide DEA. One of the shampoos tested contained an astonishing 20,000 ppm of cocamide DEA. Additionally, products marketed as being organic and for children were also found to contain the cancer-causing chemical. The CEH believes that there’s at least one percent of cancer-causing cocamide DEA ending up in your hand every time you squeeze the bottle—and that gets rubbed into your scalp and absorbed into your skin. Although one percent doesn’t sound like a lot, consider how often you use that soap or shampoo. In June 2012, California declared cocamide DEA to be a carcinogen after tests done by the International Agency for Research on Cancer revealed a possible link to the disease. Cocamide DEA is believed to react with nitrites (either added or naturally produced) in cosmetic products, forming nitrosamines, which are classified as a possible carcinogen for humans. As a result, the CEH filed a lawsuit against some of the manufacturers of the products containing the chemical and sent notices to over 100 other manufacturers, informing them that they were violating California law. The lawsuit asked that each company be fined $2,500 a day per violation and that they be prevented from selling products containing the cancer-causing product, unless it is clearly labeled. The European Union’s Cosmetics Directive has already restricted the concentration and use of cocamide DEA in cosmetics, so the risk is clearly a cause for concern. However, in the U.S., because the law is only enacted in California, warning labels for cocamide DEA are not required on products being sold in other states. This means that, more often than not, it’s really up to you as the consumer to check the list of ingredients. And even though the carcinogenic effects of cocamide DEA in humans are still being researched further, is it really worth the risk? Beans, L., “Study Finds Cancer-Causing Chemical in Nearly 100 Shampoos and Soaps,” EcoWatch web site; August 29, 2013; http://goo.gl/7M5r4X. “DEA,” David Suzuki Foundation web site; http://goo.gl/vuEhK4, last accessed April 14, 2014. “Lawsuit Launched as Testing Finds Cancer-Causing Chemical in Nearly 100 Hair Care and Personal Care Products,” Center For Environmental Health web site, August 27, 2013; http://goo.gl/dMZk0z. Radcliffe, S., “Cancer-Causing Chemical Found in 98 Shampoos and Soaps,” Healthline web site, August 29, 2013; http://goo.gl/W4cLeU. Zerbe, L., “Cancerous Shampoo? !,” Prevention web site, September 2013; http://goo.gl/OugrjQ.